Care of self is one area that without thought our children practice everyday. Putting on clothes, brushing teeth, washing hands. For Otis preparing snack is also a part of everyday practice. Pouring, cutting, tonging. It's a nice reminder that in the home not all activities need to be presented on a tray, on the shelf. Why not make practical life activities as practical as possible. So many people say they do a lot of Montessori without thought, not necessarily subscribing to Montessori it just seems like a good way to do things. Yes, Montessori or not, a child preparing snack makes perfect sense. Do you know what is in your children's 'non-toxic' paint? I don't because it's not on the label. In the interest of 'blog research' we are road testing some eco and natural kids paints. I decided to start with finger paint. I am more trusting when the paint is on the end of a brush but when it's on their skin for half the day I'd rather know what's in it and know it's natural. For finger paint I think homemade is the best way to go but I wish I had these wee can too paints when Otis was a baby. The paint arrives as a powder in these upside-down tubes. Just add water and shake. The colours come alive. I sploshed them onto some canvas and let the children enjoy. Because of the nature of finger painting we didn't use smocks but the children wore old clothes. They got covered in paint. As soon as they were finished the kids went in the bath and the clothes in the washing machine. Everything came out - nothing stained. The paint is like puree food. It's mushy not slimy. Which may be why my children took to it. It is quite thick so it provides a nice sensory experience. Just like playing with food. Caspar (five years) painted his own canvas too. Although it's awesome and earthy the colour dulls as it drys. But wow - what great texture. It's a bit strange to keep paints in the refrigerator but it's no hassle. The paints have an expiry of six months. Although we used a lot today (and I refilled the bottles with water to stretch it out) we would have no problems using the paint within six months. We all loved, loved, loved these paints. But there are a couple of downsides. Mainly the cost. We purchased this set from boodle and bear (the Australian store with the greatest range of eco/natural kids paints). The price is probably what you would expect for a boutique item. Also there are the miles, but considering most of our paints are imported and if you are in the US this is a local product. I would buy this product again and highly recommend it to families, especially those with babies, who don't have time to make their own paints. Edited 26 November: Sorry my mistake. The expiry on the paints is one month after adding the water, not six months as I have written in the original post. Argh! Bedtime! - Our bedtime routine. By far the most questions I receive from readers of the blog are about sleep. Argh bedtime! For many it's not easy. A toddler, a floor bed and parents not prepared to sleep train or cry it out - what's the answer? I don't have the answer but I'll share with you our bedtime routine. First some background on 19 month old Otis. He sleeps on his floor bed (most of the time) which is in the bedroom he shares with his brother (Caspar 5 yrs). We don't have a gate on any doors and all bedroom doors are left open. Most nights he doesn't sleep through the night and often comes into the main bedroom (usually sometime after midnight) and will sleep there until morning. He currently has one day time sleep which is usually 40 minutes - 1 hour. The duration and time of the day he sleeps impacts on the time he will go to sleep in the evening. Otis will sometimes take a short nap in the car while travelling and if he naps for too long he will take longer to get to sleep in the evening. I'm sure you know how it is. Sometimes the kids skip a bath and sometimes there is play in between dinner and bath or bath and story time. But for most of the time the routine is as above. I always read Caspar's stories first and he will fall asleep while I am reading or shortly after. While reading Caspar's story Otis will often listen or look through his own books. Even through there is a small bookshelf in their room each boy has a basket next to their bed for bedtime books. After Caspar is asleep I will usually read to Otis. If Otis isn't looking sleepy sometimes we will go and do some laundry, fold clothes etc and then go back into the bedroom and read again. Usually I will feed Otis (he's still breastfeeding) and he will often move (as pictured below) from looking through his books to sitting/playing/rolling over in his bed until he falls asleep. I have just started reading Roald Dahl to Caspar and Otis's favourite book is the new one from Mem Fox. Have you read it? Good Night, Sleep Tight is fantastic. Otis calls it the Clip Clop book after one of the nursery rhymes in it. It's a big call but I think this is Mem's best book ever. I believe she wrote it and it was published many years ago and this is an updated version teaming up with Judy Horacek (who also illustrated Where is the Green Sheep?). Also long time readers will be happy to know that we finally solved our night light issue. Caspar would only sleep with either a strong reading light or the passage light on. We tried many combinations of night lights, changing the position of lights, turning lights off in the middle of the night but nothing was working for us. These Candela lights (which Caspar likes because he thinks they look like aliens!) have the balance right between brightness and softness, are rechargable and cool to touch. I've waited for the white versions but these seem incredibly difficult to get in Australia - these coloured shaped ones are readily available. Thank you to the subscriber who suggested these to me many months ago. After writing about buying and eating local foods I began to think seriously about other products that we consume. In what other areas could we 'do better'? Straight away I was brought back to my post about breakages where I wrote of our desire to use real natural (breakable) materials in our home including drinkware and crockery. I was reminded of a comment left by a reader who supports her local artists by using locally produced pottery. Why weren't we doing this? The bowl which broke in that post was imported from the U.S. I love U.S producers but it just makes sense to check out our local scene. And I'm glad we did! Today the boys and I visited a store run by local independent artists. There was a great range of products. While there were higher end gift type products I also found a lot of little affordable items that were perfect for children. We didn't break the budget, we supported local artists and look at some of the wonderful items we can now use to serve our foods. Beautiful. We also had the opportunity to chat to one of the artists which was such a delight. I managed a treat for myself too, this pot but in black. If you are local you may be interested to know about the Canberra Potters' Society Christmas Gift Fair. It's hard to see the scale of the items in the above photograph but the mug pictured is tiny - so sweet I cannot wait to give it to Otis. We've recently found out how difficult it is for a young child to identify rocks and minerals. The specimens that are available for sale are often low grade (and therefore affordable) and the specimens in books are usually high grade. Some rocks and minerals look different depending on where they are found or how they have been cut and/or polished/prepared. I took this into consideration when setting up our Rocks and Minerals Exploration area. Caspar started with a small collection of rocks and minerals from a kit. As we add a new rock or mineral we make an identification card using a photograph of our exact specimen. Then Caspar can use his reference books to research and easily identify the rock or mineral and find out more about it. Now that his collection is growing we select each addition carefully and I love to say that we are finding more and more Australian specimens to research. We still have this tray set up so Otis can work along side Caspar and feel the rocks/minerals. The different textures are wonderful. We also have our geodes here and some rocks we have found on our nature walks. The identification cards and Caspar's collection are in one basket with his reference books nearby. We've found a local store which is a wonderful resource. If the Chalcopyrite dulls you can use vinegar to get the sparkling finish back. You can sand back the Zebra stone and spray with hairspray to make it smooth. If you look at the Mookaite with a magnifying glass you can see the Radiolaria Plankton. Who would have known? One area that Caspar is finding most interesting is how things are made. Everything comes from the earth and within these rocks and minerals lie our origins and the origins of all our materials. On a similar topic I love this fossil unit. Tupperware circa 1989. This picnic set belonged to my sister. It's too cute to leave in the box. I call it language materials. Otis calls it play. Brushing teeth, washing hands, bath time - a bathroom for a toddler. The eighteen month mark is a significant one in my mind. It feels like it's the change from baby to toddler. Previously I would hold Otis (have him on my hip) as he brushed his teeth, so that he could see the mirror and often I would brush my teeth at the same time. Previously his mirror was in his room, but now the two boys are in the same bedroom there is no room for it. We have recently put his mirror in the bathroom and made some additions to make teeth brushing easier. Along with the low mirror we have used some accessories (they are temporary and movable using suction to adhere to the tiles) - a basket and towel ring. It's easier for Otis to access his toothpaste, hairbrush and hand towel. Otis uses a small chair to reach the basin. He cannot reach the taps. The soap is in a small dispenser so it's easy for him to use. He can reach the water coming from the spout so he can wash his hands. On the basin we have a pile of small towels, a small bottle of bubble bath, another tube of toothpaste, a silicone finger brush and Caspar's toothbrush. The silicone finger brush is for Otis's teeth, I use it with him in the evening after he has brushed his teeth, it's the best way I have found to ensure his teeth are clean. The finger brush is made by a wonderful Australian company that makes the natural toothpaste and compostable toothbrushes. Next to the bath we have a basket of sea animals, a cup for pouring (and hair washing), water wheel, bottle of hair shampoo and bottle of body wash. We had a similar set up when Caspar was little. We no longer have this set up but have two pump bottles which are easier for those little hands. After this post I took Carly up on her offer of the MOP Pear Shampoo (for infants and toddlers) so we don't use any conditioner. This little bottle of bubble bath is an idea I got from school where they use small bottles (such as this) for dispensing dish washing liquid. Not only is the bottle easy for the young child to hold and squeeze it also saves the child from emptying a full bottle in one go. It makes bath time fun. I mentioned in my post about meal planning that I feel like I am maturing as a mother. I feel like I have meal planning under control and I really feel like this makes me a better parent. More organised, calmer at meal time and of course it helps Caspar with meal time too. It's required a change in thinking on my part not only to plan the meals but over the past few months we've also tried to buy organic and/or local and less from the supermarket. Not to blow the budget this has occurred gradually as we have found our way. When I first started meal planning I changed the way we were eating. I started looking at recipes (with long lists of ingredients) and just couldn't keep up. I then figured that we could still eat the same old foods (that we actually like) just plan in advance. So I would take my list to the local markets to look for our same-old foods, disappointed when I couldn't find (or it took me hours to find) the right ingredients. This resulted in most of our food still coming from the supermarket. Another change of thinking was required. If I was going to eat local I needed plan our food around what is available. I now start our meal planning on a Saturday, the day of our local farmers market. I go to the market with an open mind, I buy 4-5 meal bases (meat/fish/pasta), fruits and vegetables that are in season, dairy and additional (nuts, juice, chocolate, pizza, bread, small goods) items/treats. When we get home I start meal planning around the produce we purchased. Later in the day we go to our local supermarket and/or our alternative market-place and pick up the additional items we need. We have been working with this for a few weeks and this week the tide finally turned . For the first time ever we purchased the majority of our foods at the farmers market. It feels good. My tips? It was really important for me to know my basic prices per kg - especially with meats/poultry/fish. Initially I had no idea. I shop with Caspar and Otis so I tend to go to the markets near closing, it's much quieter the children can roam without being stepped on/getting in the way and most farmers reduce their prices or will throw in additional items in order to clear their stock. There are other really nice advantages; chatting to the farmers who love to see their produce eaten by charming little children, I can ask the farmers questions about the produce and what items they will have next week/what is about to ripen. This helps me plan/get ideas too. We'll be making strawberry jam next weekend! I love the thought of a Friday night tradition. Pizza and movie night appeals to me but I know that is not going to happen until my children are older - much older (neither of them would sit through a whole movie). I love the thought of family art night. But Caspar (who leads us on this parenting journey) isn't a huge on art, he likes to draw but art would not be his choice. Caspar love making, he loves building. His 'making box' is bursting at the seams. We are collecting almost everything possible (think recyclables) for making. I think we found our Friday night tradition. Pizza and Family Making Night! We have been collecting bottle tops for months. Perhaps for gluing or for robot buttons. Or if we string them together we can make music! How perfect that earlier in the day we found this branch in a car park and Caspar insisted we bring it home. It was Caspar's first time using a drill (to drill those little holes into the bottle tops). Oh what a thrill! Unless they are terribly unclean my children also skip a bath on Friday nights. Eek - yes I just told the world that one night a week my kids skip a bath. I would love to hear if you have a Friday night tradition. Have you ever wondered what a real Montessori school looks like? Have you ever questioned if a Montessori school you have visited is authentic? Do you know what to look for in a Montessori school? Louise Livingston from the Maria Montessori Institute UK helps to answer these questions in What is Montessori? There are so many misconceptions about Montessori. Some people say ‘that’s where the children are allowed to do exactly as they like’ others say ‘it’s too rigid – the children have to work all the time and have no time to socialise.’ The reality is that Montessori is neither of these. However, one can be forgiven for being confused. Montessori is not a registered name and amazingly, it is possible to set up a school and call it Montessori even if you don’t have any Montessori trained teachers and not one piece of Montessori material. So any parent looking for a Montessori school may well find it difficult to understand what Montessori is because there is such a wide range of so called ‘Montessori’ schools on the market. When we think of Montessori we usually think of nursery education but in fact Maria Montessori advocated a form of education right up to the age of 18. Throughout the UK Montessori primary is growing in popularity and the first Montessori Adolescent programme has recently open in St Andrews, Scotland. In a true Montessori school you will find independent children who are encouraged not only to do things for themselves but also to think for themselves. You will find children who have learnt how to explore and solve problems for themselves. Most importantly, in a Montessori Children's House you will see small children who are often perceived as only being aware of their own needs helping each other and who, without being asked to, will put things away and perform acts of kindness purely to benefit the group as a whole. So how does this all come about? What exactly is Montessori? 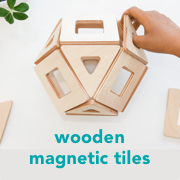 What should you be looking for if you are looking for true Montessori and what kind of guarantees are there that what you are paying for is the real thing? 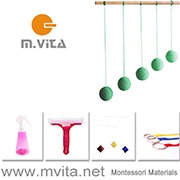 The Montessori approach is based upon the natural laws of human development. Maria Montessori observed that children under six absorb limitlessly and effortlessly from the world around them and in so doing lay down all the foundations for later life – they become adults with all the characteristics and language of the culture into which they have been born simply by living. In this huge task, however, they have some help. They have a special kind of mind that she called an absorbent mind, a strong desire to explore everything around them using their senses and a drive to become independent. She identified certain windows of opportunity for the child that she called ‘sensitive periods’ during which the child is irresistibly drawn to the things he needs to help him develop his full human potential. Everything in the classroom is designed to support these windows of opportunity. The Montessori ‘nursery school’ is called the Children’s House because everything in it is designed to allow the child to become independent – the materials are child sized and the equipment is laid out in an orderly fashion on low shelves that are easily accessible for the children. The equipment is aesthetically pleasing and is meticulously cared for which encourages the children to take care of it too. Children between the ages of 2 1⁄2 and 6 are grouped together in their own mini society. The younger children learn from watching the older children and the older ones benefit by helping the younger children. The mixed age group allows the children to develop socially, intellectually and emotionally – it is an essential part of any Montessori school. When you are looking at schools you need to see children of different ages grouped together in this way otherwise the class is missing an important part of the Montessori approach. The curriculum is divided into four main areas. Practical Life not only gives the children the opportunity to practise the skills of everyday life but also helps them to develop concentration and develop co-ordination between mind and body. The Sensorial materials capitalise on the fact that children use their senses to learn. Through these materials they are encouraged to order and classify the physical properties of the world they live in. The materials for Mathematics help the children to learn and really understand mathematical concepts because they are presented using concrete materials. Children are prepared to write and read from the minute they come into the class through a series of activities that gradually build all the individual skills required so that when they are ready it is just a natural progression. Geography, history, biology, botany, zoology, art and music are covered with a hands-on approach that is based on the fact that children learn most effectively from their own experiences. In a Montessori school you will see children choosing their activities independently and moving from one activity to the next – always returning things to the shelf after they have used them. You will experience an atmosphere of calm and see young children concentrating for surprising periods of time. Children work individually, in a group or with a friend. The morning should last for a minimum of three hours – three hours in which there is no fixed ‘timetable’. Groups arise spontaneously rather than at a fixed time every day. Maria Montessori observed that this unfettered period of time was essential for the children to develop the kind of concentration that you see when a child becomes involved with something that is essential for his development. There are no time limits for the child – he may work with whatever he chooses for as long as he likes. What is known as the ‘three- hour work cycle’ is another essential feature of the Montessori approach and if you don’t observe this you are not looking at true Montessori. In a Montessori school the child is guided by a trained adult who will show him how to do the things that he is ready for after which he can work with them independently. The adult observes the child and will not interfere so long as the child is working with the material productively. When a difficulty arises she is able to step in and give help but is always careful never to give more help than is needed. Children work at their own individual pace and naturally develop their own rhythm and work pattern. Each child’s individual needs are assessed through observation so that he is shown new things when he is developmentally ready and new knowledge is always built on what he already knows. Since everything he does in the classroom also prepares for a later activity the child is able to move gradually through activities developing his skills effortlessly. The ‘directress’ is not teaching the child she is putting him in charge of his own learning through his own exploration. This may seem a subtle distinction but it is a key part of the Montessori approach. So what other indicators are there that you are looking at a true Montessori school? Maria Montessori set up the Association Montessori Internationale [AMI] in 1929 to make sure that her work would be faithfully reproduced after her death. If you see that a school is being run by an AMI trained teacher you can be sure that the teachers have been trained in ‘Maria Montessori’s Montessori.’ A list of such schools is available on the website of the Montessori Society AMI UK which is www.montessori-uk.org. Montessori Education UK is an umbrella organisation, which represents some of the main colleges involved in training Montessori teachers. This organisation has agreed a set of guidelines for good Montessori practice in the form of an accreditation scheme. Any school that is MEUK accredited obviously adheres to these guidelines and you can find a list of these schools on the MEUK website – www.montessorieducationuk.org. Louise Livingston is an AMI trained Montessori Teacher and Trainer. She is a Teacher Trainer on the AMI training course at the Maria Montessori Institute in London and editor of the Direction, the publication of the Montessori Society AMI UK. You can find out more about training to be a Montessori teacher at any of the three levels - 0-3, 3-6 or 6-12 by visiting www.mariamontessori.org. Please visit www.montessori-ami.org to find out more about the Association Montessori Internationale. A sincere thank you to Louise for permission to publish this article. If you would like further information on Montessori schools be sure to follow the links above. If you are in Australia the Montessori Australia Foundation is a good resource. I had a stressful weekend and a terrible start to the week. After driving a hire car for four days I was more than appreciative when our mechanic finally arrived to finish the job he started. While he was tinkering away on our car I was in desperate need of stress relief. Gardening with the kids has a calming effect on me. From start to finish I didn't think about our car (or mechanic) once. I had this idea pinned on my To do board but I didn't have the exact same supplies. The idea is originally from a Bean Hut at Paint on the Ceiling. I think the idea is brilliant. This is our 'use what we have' Pea Hut. Two planter boxes, bamboo stakes, plant netting, twine and some seedlings. We have a small back yard but I love that there is always something growing, there is always something going on. Our weather is beautiful right now, these won't take long to grow. There is no doubt Lego was a significant invention. Known around the world for decades Lego has received many awards and many have labelled it the best toy ever. As a parent there are many reasons why I love Lego. Fun for all ages. From Duplo to Lego Architecture, Lego has products that cover childhood. Aesthetics. Although it's plastic I find Lego visually appealing. Duplo in a bucket or Lego on a table those brightly coloured blocks look fantastic and I can't help but think they look a little retro. Open ended. Although most Lego is now sold in packs, once you have a few packs the pieces are really open ended. As long as the child has imagination the pieces can be used to build anything. Sold in packs. I might have complained about it in the past but right now at five Caspar is enjoying meticulously following instructions to build his Lego. I feel learning to follow instructions especially with items that take a few sessions to build, requires concentration and follow though. Imaginative/role play. In our home those little Lego people act out all sorts of scenes from shops, school to police. I believe that role play like this can help children process and made sense of the world. Great for gifts. Lego is accessible and affordable. This makes it great for gift giving and for suggestions when people are looking for gifts for Caspar. Good age guidelines. Lego is one product where I follow the age recommendations if I want Caspar to come somewhere near to being able to build the items by himself. Children love it. I have two boys and both love Lego (Duplo included!). There are also things I don't like about Lego. They hurt when you step on them or when they are thrown at you. Storage. We still haven't figured out the best way to store our Lego. The Swoop Bag is on my wish list and may be the answer. Lost pieces. I am forever finding pieces of Lego in between cushions and under couches. Violence. You really need to be careful, many packs contain Lego weapons which can lead to violent Lego play. Please feel free to join in if there are reasons you like or don't like Lego (do you think it's the best toy of all time?) and please chime in if you have a great Lego storage solution. I avoided this because I thought it would be a disaster... I was wrong. I recently wrote about my greatest toddler frustration.Tammy left a comment fondly reminiscing of using a child sized shopping cart when she was young and wondering why no one has them anymore. Our supermarket has those carts and I had allowed Caspar to use them before but not Otis. Why not Otis? Because I thought it would be a disaster. I thought he would run into people. I thought he would put random objects into the cart. I was wrong. It turned out to be a really good experience. Otis was super serious, I think steering required a lot of concentration. It's such a great way to involve a toddler in shopping, they can actually help and actively participate when they can reach to get items off the shelves and put them into the cart. I have often wondered if children (especially toddlers) act out in supermarkets because they are bored. This is a great way to alleviate boredom. Perhaps not so easy when doing a big shop or during peak times but we'll be doing this regularly from now on. Thank you for putting the idea out there Tammy.